A young woman hospitalized in Queens, New York, early Wednesday morning for stomach pain later said she gave birth at home and tossed her newborn baby in the trash, police said. The 23-year-old woman’s parents rushed her to Jamaica Hospital Medical Center around 2 a.m. when she complained of having severe abdominal pain, the New York Post reported. Police said the woman, who is unmarried, had been hiding her pregnancy from her family. Once her family members left the room, she told authorities she had delivered the baby in a bathtub at her home on Sunday, according to police. She claimed the baby was unresponsive, but would not say whether the infant was dead or alive. The woman told investigators she placed the baby in several different locations, but authorities say they have not been able to locate the newborn. The police source said the newborn was a fetus because it was not full-term, and that the unidentified woman could face a charge of illegally disposing of a fetus. Other women who have done the same thing with their newborn children have faced more serious charges. 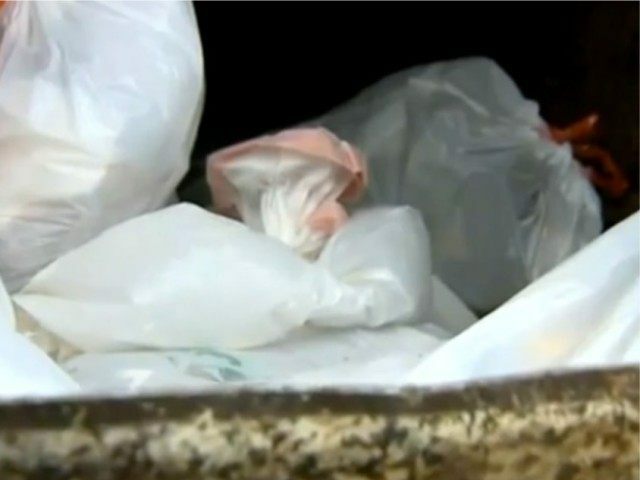 In February, a South Carolina woman who threw her newborn baby into a dumpster was convicted of attempted murder. In December 2016, a woman who allegedly threw a four-hour-old baby into a trash bin at a Louisiana Walmart was charged with attempted second-degree murder.